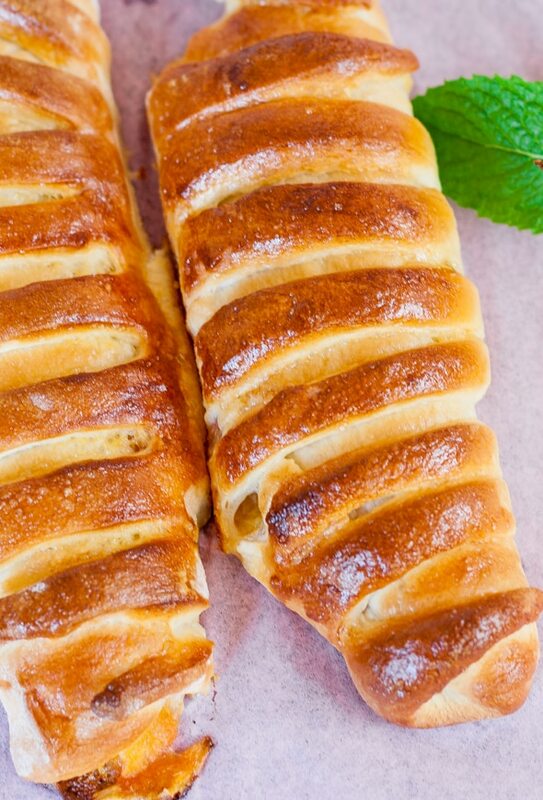 Mini Peach Strudels – perfect way to use up those leftover peaches in the summer. Pretty impressive too! I just love to bake and there isn’t a weekend that goes by that I don’t bake something. I know, it’s summer and it’s too hot for the oven. But as I’ve said many times before baking relaxes me and it’s very therapeutic for me. I love to experiment with new pastries and to see the final result, it just makes me so happy. Whenever we buy fruits, all I can think of are all the pastries I can make with them. 🙂 These mini peach strudels are so adorable and so scrumptious. You can really fill them with anything you prefer, like apples, cherries, apricots, etc. This recipe will make 8 strudels so if you want more you can double the recipe. Start by warming up half the milk in a microwave for about 20 seconds, you don’t want it boiling. To the milk add a teaspoon of honey and a couple tablespoons of flour. Mix it all well, then add the yeast. Whisk it all well together and let it sit for about half hour. After half hour if your yeast was not expired the dough starter should have doubled up in size. 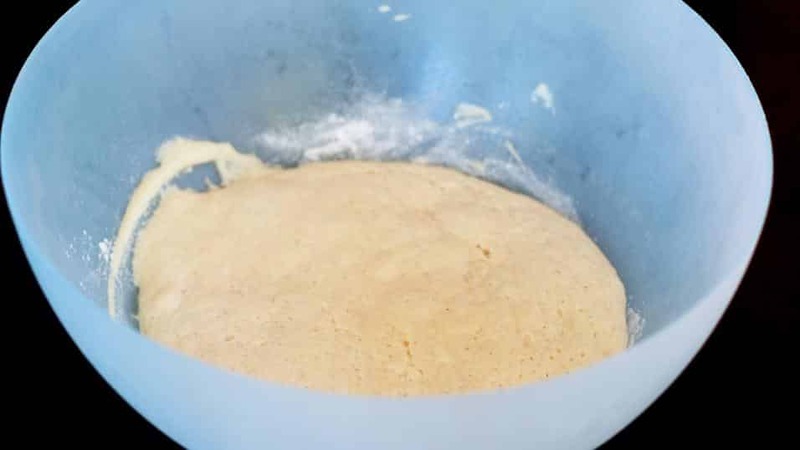 Now add this dough starter to the mixer bowl, and add the egg, and the sugar. Mix it well until it’s well incorporated. Add the flour to the bowl, the butter, vanilla extract, the remaining milk, salt and mix well on medium speed for a couple minutes. 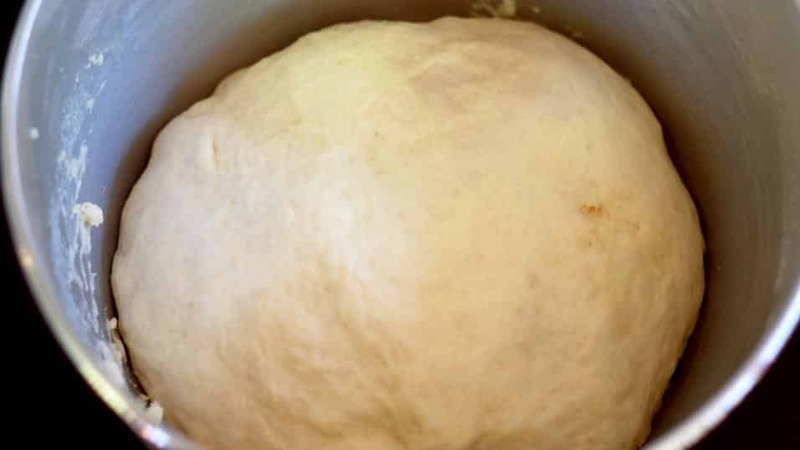 The dough should be soft and pliable. Form in a ball and let it rise in a warm spot. While the dough is rising, you can get the peaches ready. You’ll need about 3 large peaches for the 8 strudels. 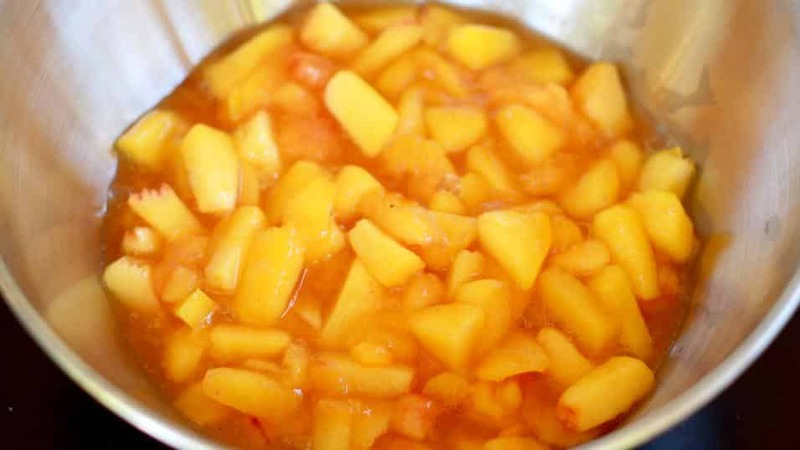 Wash the peaches and peel them and remove the pits. Cut them up in slices, they don’t have to be too thin. In a small sauce pan add the peaches and 1/4 cup of sugar. Turn the heat to medium and cook the peaches for about 5 minutes. Let the peaches cool, they need to be cold before we add them to the pastry. 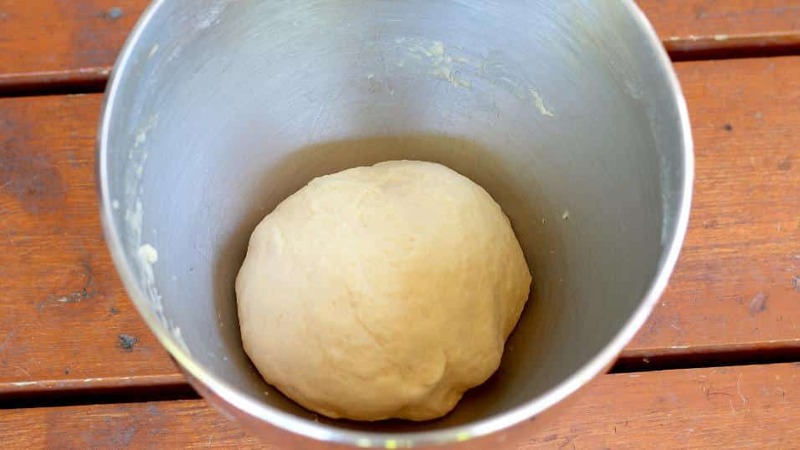 The dough should take about an hour to double in size. 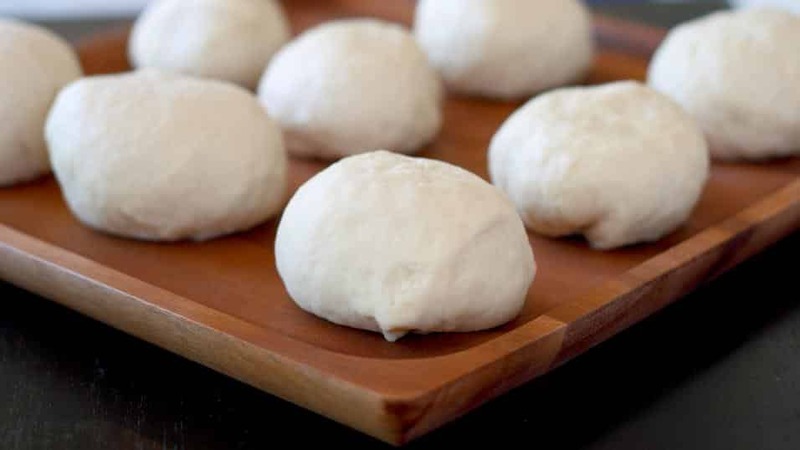 Cut the dough in 8 equal pieces and roll each one of them up in a ball. This is a bit of a messy job, but a lot of fun. Now take each long strip and fold it over the roll and tuck it in underneath. Continue this with the remaining dough and peaches. Place them on a cookie sheet lined with a silpat or parchment paper and let them rest for about 10 minutes. After half hour the dough starter should be doubled in size. Add the dough starter to the mixer bowl, and add the egg, and half the sugar. Mix it well until it's well incorporated. Add the flour to the bowl, the butter, vanilla extract, the remaining milk, salt and mix well on medium speed for a couple minutes. The dough should be soft and pliable. Form in a ball and let it rise in a warm spot. Wash the peaches and peel them and remove the pits. Cut them up in slices, they don't have to be too thin. In a small sauce pan add the peaches and 1/4 cup of sugar. Turn the heat to medium and cook the peaches for about 5 minutes. Let the peaches cool completely. After the dough has doubled in size, cut it in 8 equal pieces and roll each one of them up in a ball. et them rest for another half hour and they will double in size. After half hour, take one of the balls, and roll it out into a rectangle about 6 inches wide and 6 inches long. Place a heaping tablespoon of the peach filling into the middle of the rectangle, and fold one of the sides over the filling. 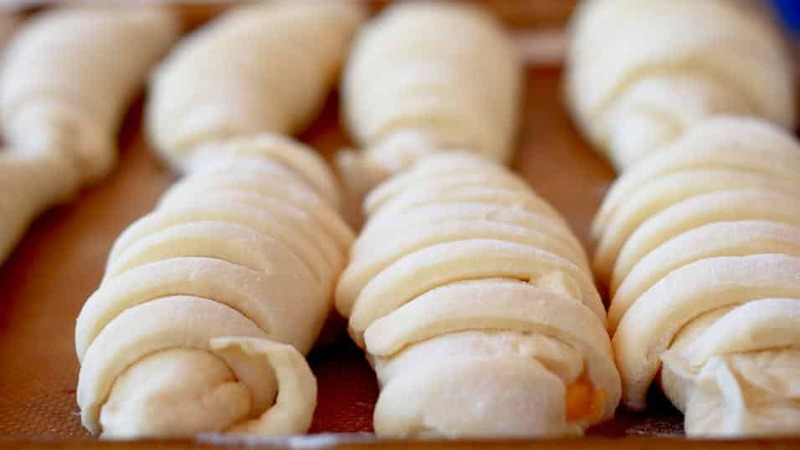 Use a fork to seam the dough. 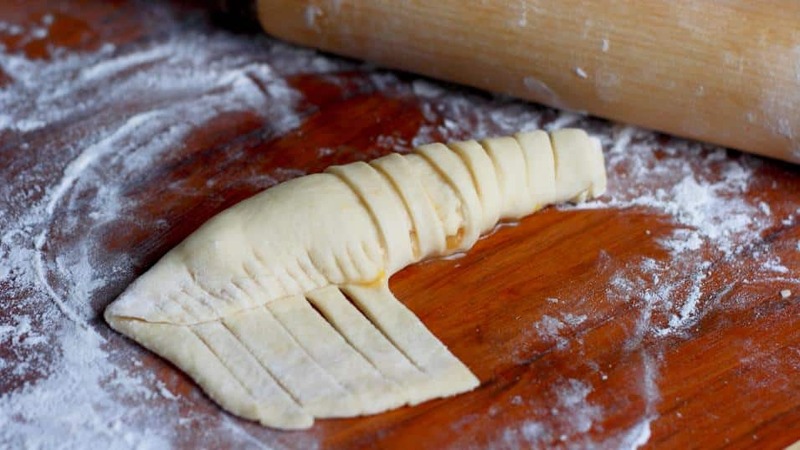 Now take a pair of scissors and cut the other third of the dough into thin strips. 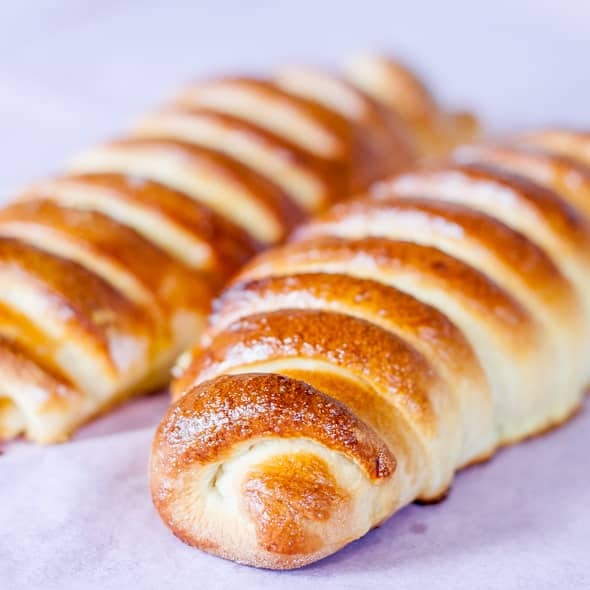 Before baking brush each strudel with egg wash and bake for about 30 minutes or until golden brown. Hi Jo. I was wondering if you mixed your dough with a mixing blade or a dough hook? I used the mixing blade of my mixer instead of a dough hook because in the instructions stated dough needed to be mixed. 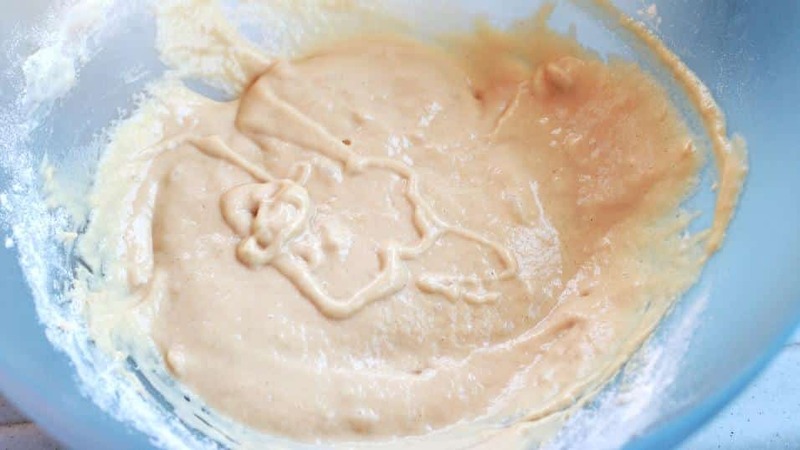 I am in the middle of making this recipe and got a bit nervous about the dough and how it was mixed so I though I would ask your opinion. Please let me know how you mixed your dough. Wow! 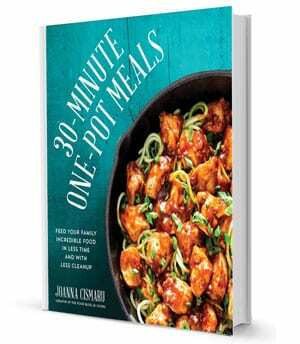 I love this one, I’m going to try this very soon. I prepared them yesterday and they were absolutely delicious! Thank you for the recipe! Wonderful, glad you liked them. Hey Jo… You were my feature today! I made this yesterday and it was a HUGE success. Just love the presentation. Soon I am going to give this same look a try with a stromboli … Can’t think of a reason in the world the presentation wouldn’t work for that as well. You got (and deserved) plenty of credit! Hi Dave, I just took a look and they look absolutely gorgeous. 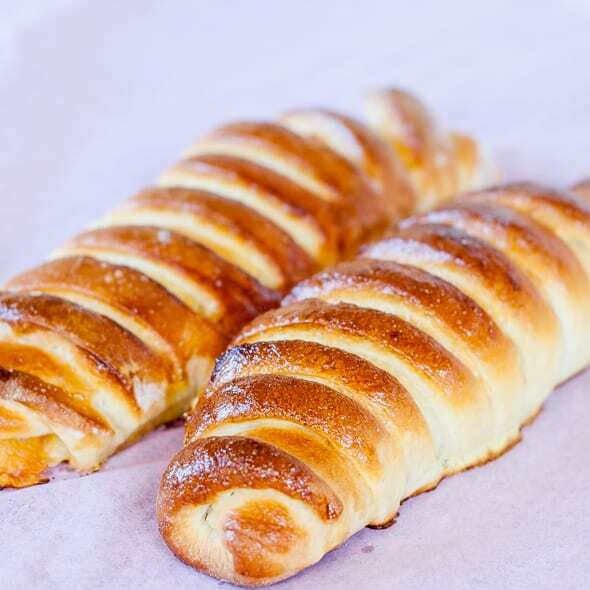 Stromboli sounds like a great idea, must give that a try soon. Thanks. Yummy! The perfect pastry for peach season. These babies look scrumptious… I think I’m gonna try this with apples. Thanks for the wonderful recipe. YUMMMMMMY! 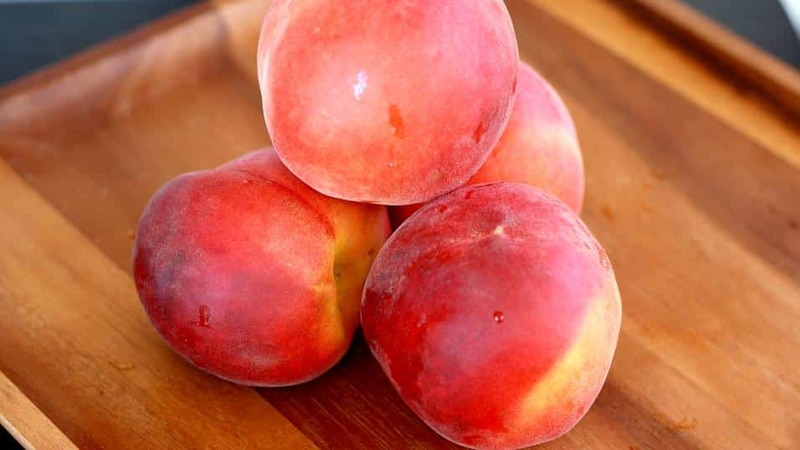 I love fresh peaches–i just picked up a really sweet batch for our farmers market. I’m not that good of a “baker” but will try my hand at this!! 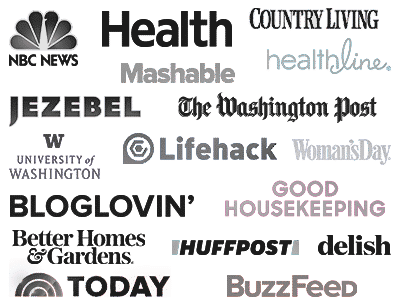 I’m a new followers and fellow member at eRecipeCards. Stop by if you get the chance! These look absolutely beautiful. I love how you did this. I will work up the courage to make these. Thanks so much for posting. You write as clearly and beautifully as you bake…just peachy! These look so very unique and utterly scrumptious 🙂 Im deeply debating giving these a shot..! I’ve just seen the photo on eRecipeCards, and had to tell you that I love it!! Yes, it was a bit messy but definitely worth it.